Welcome to our website! 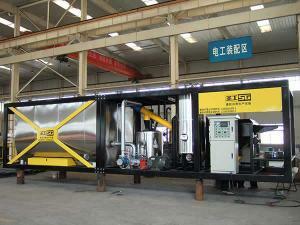 We at Gaoyuan are an experienced intelligent asphalt rubber plant manufacturer, located in China. The product shown in the picture is our GYXL1608 asphalt rubber plant, which mainly consists of rubber powder batching system, fast heating-up device, reaction kettle, and automatic electrical control system. Having the advantages of high mixing efficiency, conduction oil heating, corrosion resistance and ease of use, our products are very popular with customers all over the globe. 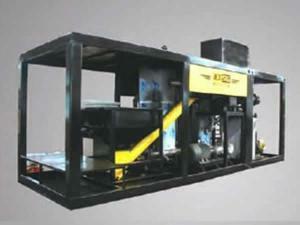 Using McDonald preparation and production technologies, rubber powder scattering and measuring feeding system can prevent rubber powder charging from being affected by charging time and powder lump, thereby ensuring continuous supply of rubber powder to the mixing and cutting device, where the mixing will be completed with the heated and metered asphalt through fast heating-up system and measuring device and pipelines. 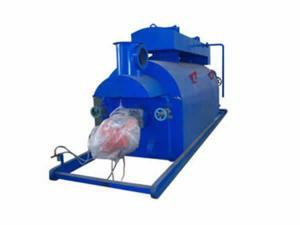 After mixing, asphalt and rubber mixtures will be conveyed to reaction kettle with heating and mixing device by large displacement asphalt rubber pump for full swelling reaction. Finally, the finished asphalt rubber will be pumped to the required places. Rubber Powder Batching System Consisting of hopper, scattering device, batching screw and metering screw; conveying metered rubber powder to the rubber powder and asphalt continuous mixing and high-speed cutting device; helical balance meters accurately; metering screw operates at a constant speed, an electrical proportional valve is used to regulate the batching screw. Base Asphalt Heating-up Device Large heat exchanger of cross circulation transfers heat through HTF to heat up the base asphalt for 25-30℃ at the speed of 20t/h in the interval of heat exchanger circulation. Rubber Powder & Asphalt Continuous Mixing and High-speed Cutting Device Mixing the metered rubber powder and asphalt with rotary speed up to 2900rpm; due to the use of our patented high-speed rotary cutting technology it can scatter the aggregates and distribute the rubber powder evenly in the binders. 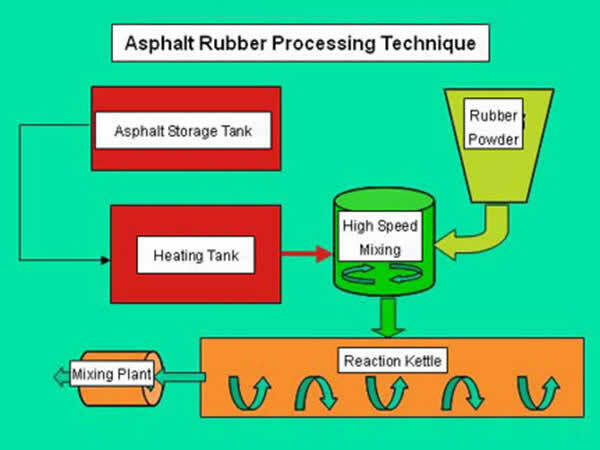 Reaction Kettle Mixture reaction vessel; specially-designed mixer prevents asphalt rubber from segregation in the tank, contributing to complete mixture reaction; speeding up heat transfer to make full use of heat energy for reduced production costs; double heating system and heat insulation device keep the required temperature for reaction; external HTF heats asphalt up rapidly. Automatic Electrical Control System Controlling and monitoring the operations automatically; ergonomic design effectively reduces labor intensity. 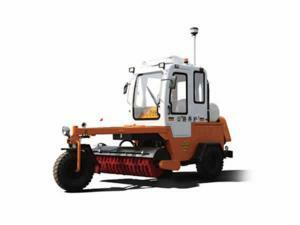 In addition to intelligent asphalt rubber plant, we at Gaoyuan also offer asphalt distributor, micro surfacing paver, and other road maintenance equipment, so as to suit all customer's needs. 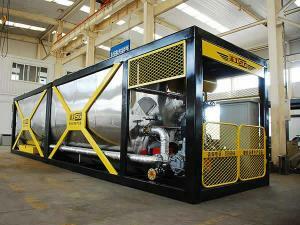 We have accumulated many years of experience and placed it into the creation of our products. 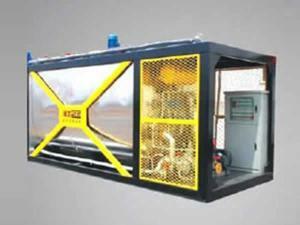 Hence, the quality and performance of our road maintenance machines are highly guaranteed. As a result of our tireless efforts, our products are CCC and CE certified, so you can feel secure in using them. 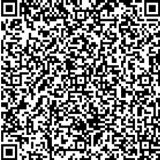 If you have any need for our products, please don't hesitate to contact us. Our staff is waiting to serve you!